The latest Disney Movie, Coco. One of the best kids’ movies. It rated so high in IMDB! That’s inspiring me to create and design Disney Coco Birthday Invitation template! If you love music, and wanna be famous from Music, Coco delivers how hard work can boost your dream! It tells about aspiring musician Miguel, confronted with his family’s ancestral ban on music, enters the Land of the Dead to find his great-great-grandfather, a legendary singer. This invitation comes in 5×7″ with 300 dpi. It works perfect for your musical birthday party theme. You can write down your birthday party details on it. You can use a colorful pen, or marker. 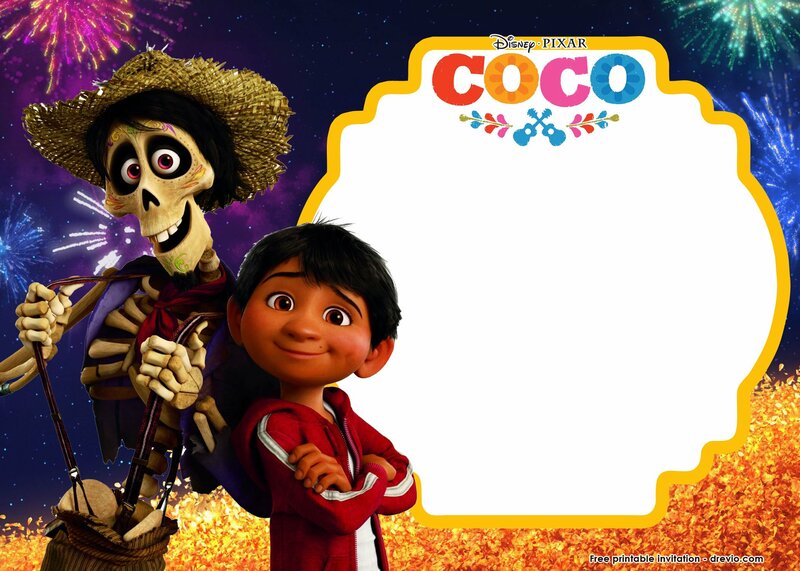 Write down your birthday party details like time, date and location of your Disney Coco party theme. 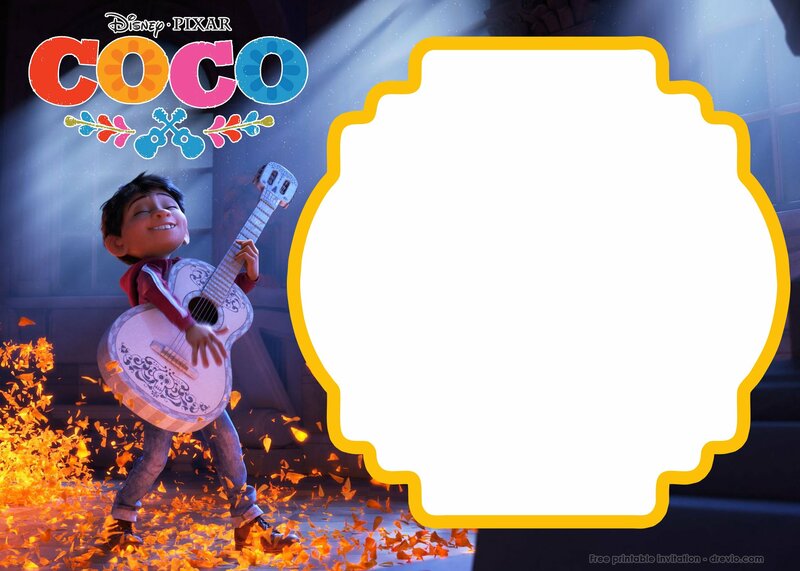 How to Download this Disney Coco invitation? Well, it is very easy and most people can do it. Just click on the image and choose Save Image As menu. Then personalize the file as you want. To print this file, use a cardstock paper. This kind of paper has high quality image and brings an authentic printing image. This invitation comes in Golden color with famous Coco character on it. FREE Mickey Mouse Birthday Invitations Template – Chevron Edition!